If you have a swimming pool in your backyard, you probably start thinking about opening it the first time the temperature soars into the 70s or 80s. Those who love to spend their springs and summers swimming simply can’t wait to get their pools up and running. But in general, you should avoid rushing to do it and wait until the right time to open it up. So when is the right time? Well, every pool owner will probably give you a slightly different answer. However, you should consider opening your pool as soon as the temperature hovers at or above 70 degrees every day. In some regions, that will mean opening it earlier than in others. Nevertheless, in the Maryland area, that usually means waiting until at least late April, and in most cases, early to late May. You should wait until then because, if you open it any earlier, you will likely end up maintaining your pool without actually getting to use it. Nevertheless, you should also resist the urge to push your opening date much later than that. When it starts to get warm outside, the water temperature in your pool will also rise, and it will lead to algae breeding in the pool. There will also be pollen in the air in the spring, and that pollen can often find its way into your pool—even when it’s closed—and cause issues if you don’t have your filter running. In reality, you’re more than welcome to open your pool whenever you want. If you don’t mind opening it in April and caring for it until the fall, you’re welcome to do it. 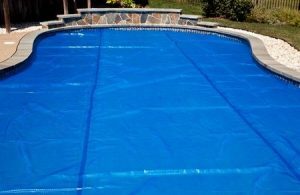 You can also put off opening it until June or even July if you don’t plan to use it until then and don’t mind the extra work that will come along with cleaning your pool when you open it that late. Whatever the case, you just need to be prepared to care for your pool accordingly once it’s open. Vista Pro Pools & Spas can help you care for your pool once it’s opened. In the event you need to have it rehabbed, we can provide you with services to take care of it. Call us at 301-805-0119 today to speak with someone about your pool.